Welcome to the website of Loreto Secondary School, Balbriggan. I hope that you will find this site informative and useful. It was launched in the summer of 2003 and is regularly updated. By browsing this site, you should get some impression of life in Loreto Balbriggan. It would be impossible to set out the whole myriad of activities that go on in this school but hopefully the sense of a happy, productive and caring community is evident. 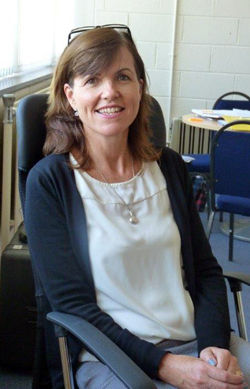 It is the vitality of the staff and students that makes Loreto Balbriggan unique. The professionalism and generosity of the staff ensure the highest standards in all aspects of school life. We hope to make information about all our activities available on this website, on a regular basis, and that it becomes a useful asset for the whole school community. Please check the site regularly, for the most up to date information, and feel free to contact us with any comments or suggestions you may have to help make this site as successful as possible.